Halloween is a fun time of year for creative and decorative people, children and grown-ups alike. However, between the costume, the decorations, and the sweets for children, celebrating can drain the pocket, and the rising dead won't pick up the bill. 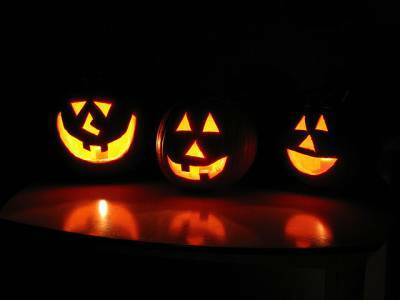 These money saving tips will help you stay within your budget on the spookiest night of the year. 1. If you're hosting a party, ask your guests to bring Halloween decorations. If everyone brings one the place will start to look spooky quickly. Maybe offer a prize for the best one.2. Candles will help make your home look spookier. You can also use a permanent marker to draw on a light bulb (when it's turned off and cold!) and create some spooky effects.3. Did one of your friends have a cool costume last year? Would it fit you? Ask about doing a swap.4. Choose a costume you can put together rather than one you have to buy whole. Borrow from friends and family and shop in charity shops or online for individual items you need.5. Don't buy your favourite sweets to hand out to children, you'll eat them all yourself. Give them something you don't like and won't be tempted by.6. Buy large bags of off-brand or discount sweets from a pound shop or discount wholesaler.7. Hand out individual or ‘fun size' sweets, not full size bars.8. Don't open all the bags at once because you can return what you don't use if the bags are unopened.9. If your kids come back early with sweets they don't want  give those sweets away to kids that come to your door10. Don't worry about leftover sweets, you can bring them out again for birthdays or Christmas.11. Wait until October 30th to buy your pumpkin. You won't get the best ones, but they'll be much cheaper.12. Don't waste the pumpkin flesh carved out to make jack-o'-lanterns. Look up recipes and have it for dinner. If you're savvy with your money then you're already budgeting your monthly spend, make sure you earmark some of your income for the cost of Halloween. Using a tool like Money Dashboard's budgeting software makes organising your money from month-to-month very simple.